NIO Service redefines the car possession and maintenance experience, providing a one-stop solution for solving all of your car servicing related worries. The NIO Cloud system will actively identify your needs and provide services that go beyond expectations. The NIO Roadside Service Specialists will provide vehicle valet service. Your to-be-serviced-car will be picked up and sent back at your door. No time or mileage limits. Every ES8 owner can enjoy free quality assurance services for the duration of the ES8’s lifetime. We will remind you when it is time for routine maintenance. This service includes over 100 different inspections and fast-moving-parts replacement. For car owners that purchase the Worry-free Services Plan, free maintenance is covered for 60,000 km mileage. No time or mileage limits. Every ES8 comes with 24-hour roadside assistance for the duration of the vehicle’s lifetime. Wherever you are, we are always by your side. NIO-Certified professional technicians can provide vehicle repair and maintenance with NIO-tailored standard service procedure. A simple click on NIO APP, your time will be freed. Yet service status can be monitored via your phone. We use genuine spare parts to ensure the ES8’s safety, reliability and performance. For basic repair and maintenance requests, the Service Mobile vehicle will come to rescue and saving your efforts. We are committed to providing a fast and worry-free ES8 delivery experience. 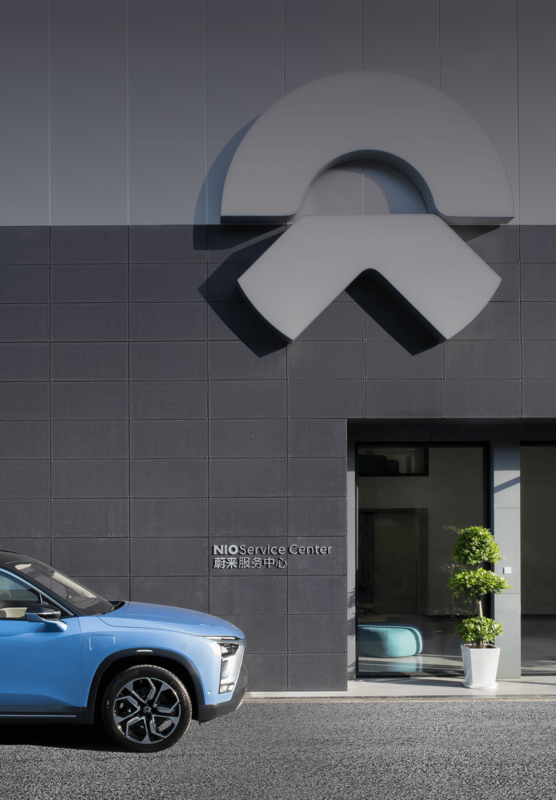 NIO users can choose to come to the Delivery Center to pick up their vehicle or to have it delivered to them. The initial NIO vehicle owner can enjoy free quality assurance, roadside assistance, and car connectivity services for the duration of the vehicle’s lifetime. The Worry-free Service Package makes servicing your vehicle convenient and easy. NIO can come to you for any of your service needs. Free repairs within the plan’s duration. Free maintenance within 60,000 km and plan’s duration. If vehicle repairs, maintenance and delivery cannot be completed within 24 hours, a free courtesy car will be provided. Vehicle compulsory insurance, third party liability with zero deductible, passenger insurance, and vehicle damage insurance with zero deductible, are provided. The time of availability of free car washing, airport parking, valet driver, and valet fine payment services may differ among cities.